It’s been a while since I’ve posted, and I’m sorry about that. Truth be told, I’d like to post every single day. I’ve been having trouble making the time to do it though. I’ll do better I promise! My boyfriend recently bought me a laptop as a gift. It was super sweet of him and I remain ever so grateful that he made this major purchase for me. Alas, it had to go back to the store. The machine he bought was an Asus X551MAV-RCLN06. He bought it because it seemed like a good buy and he wanted me to have something that I could play SimCity 2013 on. 🙂 It was so sweet! However, the machine ended up being not what he thought. Most average tech consumers associate the Asus brand with being one of the cadillac brands available when you’re trying to stay away from HP & Dell. Let’s face it. HP & Dell have become digital warehouses for bloatware and brand marriage anymore. No power user of PCs buy either one without first wiping the hard drive clean and installing the OS completely clean and devoid of all marketing crap. As I said, most average consumers think Asus to be cadillac among PCs. Truth is, it used to be but it’s not anymore. In order to maintain effortless positioning in the laptop market, they’ve been engaging in supplier contracts with Staples, Best Buy, Wal-Mart and Amazon. The vast majority of these machines that are sold by those 4 retailers are typically made up of the worst quality components because they are the least expensive. You can expect to find end of the run hard drives, short life batteries, poorly designed cooling systems, stepping 3 processors and bare minimum graphics capability. The machine that my boyfriend bought me came from Wal-Mart. Every single machine Wal-Mart has ever sold is known for being a disposable machine. The X551MAV though gives all new meaning to the word disposable. I expect to be able to at least add more RAM at least ONCE before I have to decommission a machine. Not with the X551MAV though. Its RAM was already maxed out at 4GB. You can’t upgrade any further. Seriously! Who the hell makes a machine built for any version of M$ Windows that maxes out at 4GB RAM without at least allowing for one step of upgrade (4GB to 6 or 8)? If I was really desperate though, I could possibly have lived with the RAM setback. The next thing that I noted was that Asus, for this model, had moved away from BIOS technology (finally) and implemented Unified Extensible Firmware Interface (UEFI). UEFI is infinitely more powerful for controlling motherboard options on a machine. On the Asus though, the UEFI was particularly difficult to access. It took me about two and a half hours of Googling and key pressing to establish that you cannot access it by a hard boot. You must first boot the machine into Windows, login, restart and start slapping the F9 key like a mad man because the window of opportunity to access the hidden partition is so small (less than a second). Truth be told, I could also live with the UEFI thing. What was the deal breaker was the fact that you cannot remove the battery. That’s right folks! The battery sealed in the shell behind what appeared to be 12 screws. At this point, I knew the thing was going back to the store, so I didn’t want to open it up to see if it was soldered in. Even if it wasn’t sealed in the machine, the power brick included with it does not provide enough power to charge the battery while the machine is on. It says this very explicitly on the enclosed sentencing welcome instructions. “DO NOT TURN ON THE MACHINE FOR AT LEAST 3 HOURS TO ALLOW THE BATTERY TO CHARGE” Really? I kindly and very sadly told my boyfriend that he had to take it back. Really, I was more disappointed by the fact that I had to have him take it back to the store than I was with the quality of the machine. Asus trying to pass this off to unsuspecting end-users is at least abysmal marketing ethics. Paying $249.99 for that machine was like paying 25¢ for a 16oz bottle of water and it’s contaminated, but Nestle tells you what a great deal it is because it’s only 25¢ and you were able to buy it brand-new from Wal-Mart. I find it disappointing that a company who used to be so well respected in the PC power user community has stooped so low as to sell it’s soul to big box stores. I still remember when Asus was the motherboard brand to buy and geeks like me would save for months trying to buy it. The reality is that before you buy any machine from a big box store or big box web stores (Amazon, TigerDirect, Newegg), you should be doing plenty of research, especially if you’ve got less than $400 to spend on it. The deal you think you’re getting might be a $300 trip to the trash can a year from now. It’s actually 9 screws. Secondly I’ve read that people have put in a 8 gig so-dimm (and the laptop acknowledged it.) Thirdly, the battery isn’t soldered in….once the laptop is dissembled the battery can easily be removed. It’s amazing what happens when you google. I stand corrected on the screw count. I did search for the specs and the manufacturer reports that the max supported ram is 4gb. Why would one gamble that they were simply being conservative on paper? And I never said that the battery was definitely soldered in. I said I wasn’t removing the screws to find out. I shouldn’t have to. The point if this article is to accuse the manufacturer of generating profit by producing a throw-away machine that the average user can’t or won’t work on. Ive owned this laptop now for about 3 to 4 years and I love it. You missed out on a cheap great running machine mine has done very well and I am on it at least 6+ hours a day. One can get all those features in a laptop cheaper than what this one was at the time I wrote the article. I found it in the Lenovo T420S. Got a docking station for it too for $20 on eBay. I guess I’m not a “power user”? Just a broke person who still needs a machine 12+ hours/day that can handle dog hair and cheeto stains and still get work done. This model has been great so far, don’t scare folks away who know not to go to WalMart for a notebook when they need “power use”. Maybe the lack of valet parking at your local Big Box might have clued you in. I bought one of these machines and guess what . I have it for 14 months now and it just went into a deep sleep just like cinderella and now i have to buy a new laptop cos i cant find a motherboard anywhere in south africa and asus says they cant help me . The article is accurate! I have learned a lesson about Asus, a company that I once had much respect for. 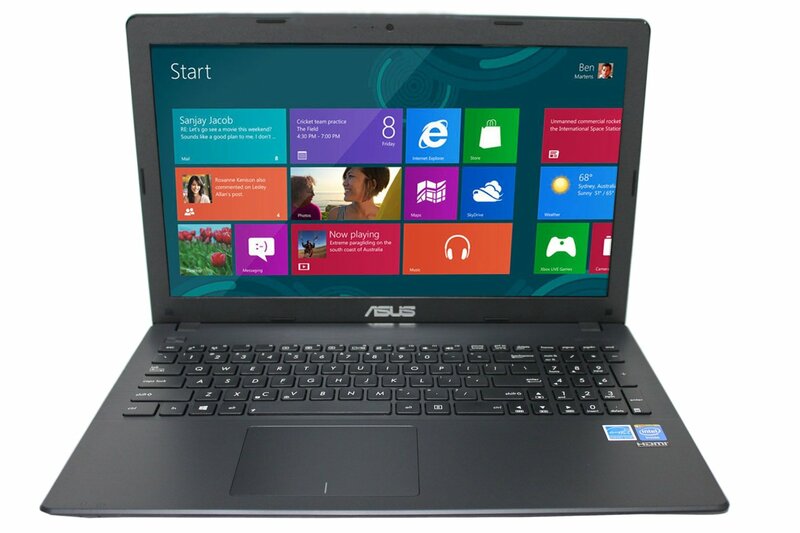 I purchased five Asus X551mav for elderly friends and three have failed. One was repaired at my expense and two are now in a box in the basement with dead motherboards. I am tempted to buy new motherboards but after reading the article I now think it best to trash them and replace them with a better brand. The Asus UEFI is particularly difficult to access and is at the heart of some of the issues experienced with the laptops. The next purchases will be tablets and I can promise you that they won’t be manufactured by Asus.